People appreciate lavender for its soothing fragrance in bubble baths and candles, especially when unwinding from a stressful day. But did you know you can also take lavender for sleep? Lavender is known as an effective stress-reliever, but did you know that research has shown that taking lavender for sleep also works? Lavender is believed to have an exotic history dating back as far as 2,500 years. The ancient Greeks commonly referred to lavender as Nard, after the Syrian city of Naarda. The Romans used lavender—much like we do today—as a pleasing aroma for linens, soaps, and shampoos. In fact, the name lavender is actually from the Latin root lavare, which means “to wash.” Since ancient times, the use of lavender has evolved into much more than a sweet-smelling perfume. Today, lavender is commonly consumed as an herbal remedy with impressive medicinal properties. Its therapeutic uses range from mood stabilizer to powerful pain reliever. Few people, however, realize there’s another way to use lavender: for sleep. As research is showing, lavender is actually an effective natural remedy for insomnia and other sleep disorders. Several studies demonstrate the effectiveness of lavender for relieving sleep issues. A randomized controlled trial published in The Journal of Science and Healing noted the effects of lavender on college students with self-reported sleep issues. The students were divided into two groups. One group received a lavender inhalation patch while the other group received a placebo inhalation patch for five consecutive nights. The results showed the positive impact of the lavender intervention on daytime energy and vibrancy along with improved nighttime sleep. Sleep deprivation in hospitalized patients is common and can have serious deleterious effects on recovering from illness. A study published in the American Journal of Critical Care tested the effectiveness of lavender aromatherapy in the intermediate care unit. Researchers noted that the patients treated with lavender aromatherapy had a decrease in blood pressure and higher quality sleep scores compared to the control group. There are numerous ways to take lavender—tinctures, oils, and more. First, you can try lavender aromatherapy at bedtime (as in the study of hospitalized patients). There is evidence that certain smells can have an effect on your sleep by decreasing heart rate and blood pressure, putting you at a relaxed state. When choosing the “smell” route, you can put a few drops of lavender oil on your pillow or in an aromatherapy diffuser. You can also try lavender essential oils or lotions to achieve a good night’s rest. 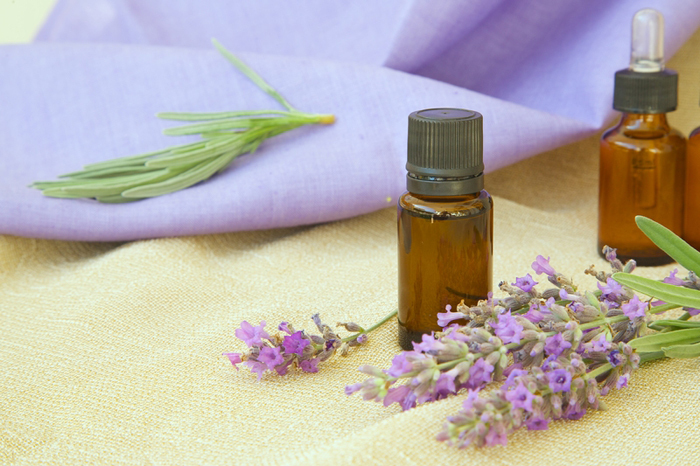 Place two to three drops of lavender oil in your hands, and then sniff the oil. After smelling the oil, rub it on your wrist or temples. Or, use several drops of lavender oil in your bath before bedtime. Infants and children can also use lavender oil at bath time to promote relaxation, but be sure to limit the number of drops to one or two to prevent skin irritation or burning of the eyes. Have you tried lavender for sleep? Did you use aromatherapy, essential oils, or lotions? How did it work? Share your tips for using lavender to overcome insomnia and other sleep issues in the comments section below. The Journal of Science and Healing. Nov-Dec 2016, 12(6): 427-435. The Journal of Alternative and Complementary Medicine. July 2015, 21(7): 430-438. American Journal of Critical Care. January 2014, 23(1): 24-29.
anxiety, anxiety in women, anxiety symptoms, aromatherapy essential oils, better sleep, blood pressure, caffeine, children, health, health news, herbal remedy, how to deal with anxiety, insomnia 2, lavender, lavender for sleep, lavender oil, mood, natural remedies, natural remedies for, natural remedies for anxiety, natural remedy, naturopathic, pain, remedies for anxiety, signs of anxiety, signs of anxiety in women, skin, sleep, sleep deprivation, sleep disorders, sleep hygiene, sleep issues, sleep quality, university health news. Lavender gives me migraines. So I was wondering if there was anything else that you recommend that would work just as good a lavender?